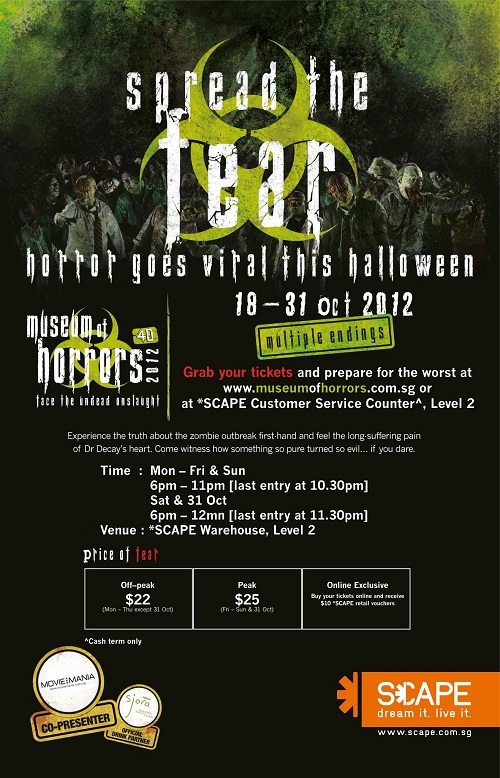 SCAPE’s Museum of Horrors returns for a third installment, bigger and better in 4D. Enter a secret laboratory and uncover the truth behind the zombie uprising. Do you dare to face the onslaught of the undead? You’ll never know what destiny awaits you. Meet a different end each time you step into the Museum of Horrors. 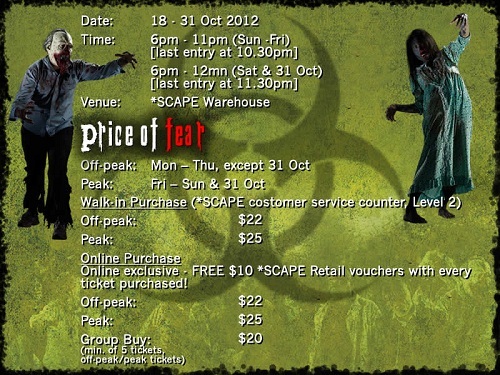 Tickets can be purchase at the SCAPE customer service counter and online. For further information and to buy event tickets, visit the Museum of Horrors website.